I honestly can't remember the last time I threw together a book haul post, so that must mean it's been too long! Here's a few books I bought over the last couple of weeks. Some were on sale and a couple just caught my eye! What's in your latest book haul? I hope you enjoy them! The only one I’ve read is The Miniaturist. It was okay. I didn’t love it as much as most people do. Oh! The Miniaturist! I just picked up The Serpent King! Ooh! 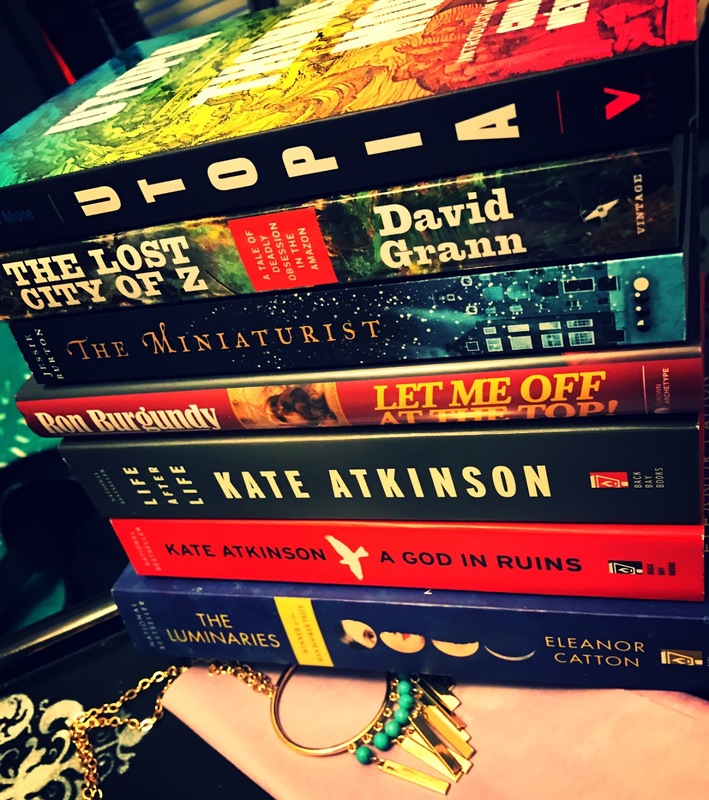 That's a good book haul :) I've recently got The Miniaturist, although an e-book version. It's quite thick, as I can see from your pic! That's one thing you can't tell about an e-book. I'm sorry to say, unpopular opinion alert, that Life After Life just left me completely indifferent. But no hope you like it! Yay for book hauls! I have had The Lost City of Z on my list for a long time. I really want to read it, and I am excited to see what you think of it. Also, reading the comments, sounds like I need to pick up Life After Life!